Join us for a wonderful evening as Manila Resto and The Blind Horse team up for a Food and Wine Pairing event! 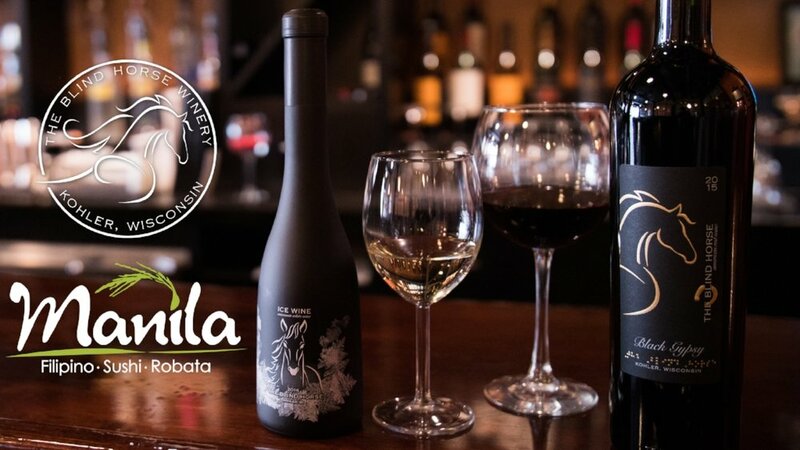 Marlo Ambas from Manila Resto, and Tom Nye, the Winemaker from The Blind Horse, will guide you through your experience between pairing Philippine cuisine with Napa style wines which are produced right here in Kohler, Wisconsin! Tickets include a 5 course meal perfectly matched with 5 different wines from The Blind Horse. $50 per ticket or $80 per pair. Tickets are limited! RSVP your spot today!